The Tuscaloosa Symphony Orchestra presents our 2017-2018 Season Brilliance: A Celebration of Masters and Masterpieces. Each concert brings the work of a great master composers to life with a new perspective. In addition to our orchestral masterworks we will feature many master performers throughout the season in a series of collaborations that will leave you in awe. Join us for a brilliant season of music as we celebrate some of the greatest masters of past and present! The Tuscaloosa Symphony Orchestra presents our 2017-2018 Season Brilliance: A Celebration of Masters and Masterpieces. Each concert brings the work of a great master composer to life with a new perspective. In addition to our orchestral masterworks we will feature many master performers throughout the season in a series of collaborations that will leave you in awe. Join us for a brilliant season of music as we celebrate some of the greatest masters of past and present! This all orchestral program features the Tuscaloosa Symphony Orchestra musicians in two great works by Beethoven, one of the pillars of our art form and one of the most widely known classical composers. Symphony No. 4 will charm you with its wit, grace, and evergreen freshness. Symphony No. 7 is a force of nature with its irrepressible sweep, pure joy, and power. This program will take you to the summit of the art form of classical music. Cheers 'n Chat will begin at 6:00 p.m. in the Choral Opera Room. Come enjoy delicious food, fine wine and beautiful music as musicians of the TSO perform and speak about all aspects of the art of classical music. Proceeds benefit the Tuscaloosa Symphony Orchestra. Hear the brilliance of soprano Susan Williams and trumpeter Eric Yates as they herald the start of the holiday season. 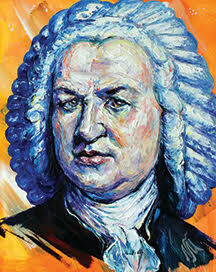 "Jauchzet Gott," one of Bach's most well-loved cantatas, is a true tour de force for both singer and trumpet player. Witness the rare performance of this uplifting work of Bach in a beautiful church sanctuary-- as it was originally intended. Corelli’s “Christmas Concerto” and other great works by Wagner, Mozart, and Hovhaness offer an incomparable welcome to the holiday season. This program of classical and contemporary holiday favorites is an annual tradition that is not to be missed. The Tuscaloosa Symphony will once again partner with the beautiful voices of the Alabama Choir School and the Prentice Concert Chorale. Join us in the lobby beginning at 6:00pm for wine and live chamber music. The evening is the perfect gift for someone you care about to share the joy and wonder of the holiday season. Cheers 'n Chat will begin at 6:00 p.m. in the lobby of Moody Concert Hall on the UA Campus. Join us for wine and live holiday chamber music. Celebrating love so strong it can only be reflected in the brilliance of diamonds, Maestro Adam Flatt and the TSO join forces once again with Paul Houghtaling and the UA Opera Theatre to create a glimmering evening of popular selections from opera and musical theater. 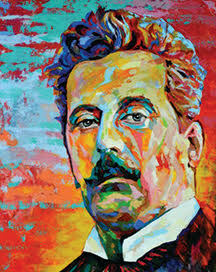 Music by Giacomo Puccini will be featured as we pay tribute on the 160th anniversary of his birth. Selections include the iconic love duet “O soave fanciulla” from La bohème and the searing “Nessun Dorma” from Turandot, as well as “Diamonds are Forever,” and “Baubles, Bangles, and Beads." Don’t miss this opportunity to hear the brilliance of so many talented voices with the orchestra. UA Opera Theatre will shine with an evening of opera and song favorites. Our third collaboration with the Tuscaloosa Community Dancers will bring the characters of Britten’s narrated “Young Person’s Guide to the Orchestra” to life. Meet the members of the orchestra and hear additional selections such as “Peer Gynt” that are familiar to all. Watch the stage come to life with dancing musical characters! The Instrument Petting Zoo will begin in the lobby of Moody Concert Hall on the UA Campus at 5:00 p.m. Enjoy an evening comprised of fabulous food, amazing auction items, and live chamber music performed by members of the Tuscaloosa Symphony Orchestra. Stay tuned for a complete list of auction items. Join us as we welcome Stewart Goodyear to the stage to perform Rachmaninoff’s Piano Concerto No. 2. Mr. Goodyear is widely known as one of the greatest pianists of his generation. His brilliance and the passion of Rachmaninoff’s music pair beautifully with the journey to lush, exotic locales by Debussy and Schuller. Experience the song, dance, and perfume of Spain with “Ibéria” and be washed in color with “Seven Studies on Themes of Paul Klee.” Our season finale will be brilliant, dramatic, and powerfully emotional.